The stories were told and the movies were filmed, about Operation Red Wings, but the heroism shown by U.S. Navy SEALs is still shining like it was yesterday. On that tragic day, on June 25, 2005, Lt. Commander Erik S. Kristensen rushed with his fellow Navy SEALs to help other Navy SEAL heavy outnumbered in Afghanistan mountains. Afghanistan is not the most hospital or friendly of places. Well, at least not since the Taliban had taken over. Navy SEALs led by Lt. Michael Murphy had been operated deep behind enemy lines. Besides Murphy, there were three more Navy SEALs, PO2 Danny Dietz, PO2 Matthew Axelson, HM1 Marcus Luttrell. They were discovered by the forces of local Taliban/anti-coalition warlord Ahmad Shah, and soon they found themselves in a heavy gunfight. The rescue attempt itself was dangerous. The operators on the ground were already engaged in intense fighting. Outnumbered. The element of surprise was gone and they found themselves in a desperate position. Lt. Commander Erik S. Kristensen lead his SEALs on a fateful rescue attempt anyways. Knowing full well the danger, and the chances of coming home alive were slim, but he had men in contact who were outgunned. So he went. He led from the front. The Murphy’s team were outnumbered. There were four of them against a large force of insurgents who knew the terrain. Lt. Commander Kristensen heard the distress call and set out with many others as a QRF (quick reaction force) aboard the MH-47 Chinook helicopter. Much like Lt. Michael Murphy, who exposed himself to enemy fire in order to send the distress call, Kristensen had to know that there was a large chance that he was not coming back alive from this mission. It didn’t seem to matter to him. Or the rest of the Navy SEALs and pilots who were now en route to lend more gunfighters to the battle and help their fellow SEALs on the ground. The rule of gunfighting states that you should not only bring a gun but bring all of your friends who have guns too. Make a wall of lead and wipe the enemy from the face of this terrestrial plane. That’s what Erik Samsel Kristensen and his fellow SEALs were going to do. However, their CH-47 Chinook would be struck by an RPG, and everyone on board would be killed. It was the single worst day for Naval Special Operations in their history. Their sacrifice…while it is only right and proper to mourn their passing, we are grateful that their example lives on. They will not be forgotten and the lessons they taught will not be ignored. Erik is remembered as an Intelligent leader who earned the respect of his men and his senior officers. He succeeded everywhere he served. We are grateful that men like these set the standard for loyalty and faithfulness. The law of the battlefield must be upheld. For his actions, that day Lt. Commander Erik Samsel Kristensen was awarded the Bronze Star with V device. Prior to the medal he was awarded posthumously, Lt. Commander Erik S. Kristensen was awarded , Purple Heart, Navy and Marine Corps Commendation Medal (3 awards), Navy and Marine Corps Achievement Medals (2 awards), Combat Action Ribbon, National Defense Service Medals (2 awards), Afghanistan Campaign Medal, Global War on Terrorism Service Expeditionary Medal, Global War on Terrorism Service Medal, Sea Service Deployment Ribbons (2 awards), Expert Rifle Medal, and Expert Pistol Medal. Lt Col Mark Phillips was a Special Forces hero who carried out hundreds of covert operations behind enemy lines, including an audacious mission to blow up Saddam Hussein’s telecommunications cables network, buried deep in the earth under a sports arena in southern Baghdad during the first Gulf War, following the tyrant’s capture of Kuwait. It was dubbed the proverbial “mission impossible” by insiders, and many did not expect Phillips and his team to make it back alive. On 22 January 1991, flying in under the cover of darkness on two Chinook helicopters at low altitude to avoid radar detection, Phillips’ Special Boat Service (SBS) team were dropped near the heavily defended stadium, while a diversionary attack was launched to lure forces away from the area. Sustained allied aerial bombing raids had failed to knock out the fibre optic cables carrying Iraq’s command and control messages to Basra. The team was ordered to cut cables, and plant more than 700lbs of explosives at strategic points, but things did not run smoothly. Two unsuccessful attempts were made to find and cut the cable, but on each occasion, headquarters relayed back that Iraqi signals were still being sent. On the third attempt, the team planted all their explosives and detonated them. Iraqi communications suddenly ceased. Flushed with success, they dug and recovered a portion of the cable, before pulling back to their waiting helicopters. So successful was the mission that the piece of fibre optic cable has since been displayed at London’s Imperial War Museum. Shortly after, Phillips took part in the SBS raid to retake the British Embassy in Kuwait City. Royal Marines Major-General Rob Magowan CBE said, “Foggy was an inspiration, both to me and across our Corps. “Bright, physically strong, courageous, hugely visionary and immediately engaging, he had all the attributes of a Royal Marine. People were swept up by his energy and leadership. I first met him on an adjacent rowing machine and I must admit to feeling intimidated.” Born in 1961, in Gloucestershire, Mark Christopher Phillips was educated at Charlton Kings Secondary Modern, Cheltenham. Upon leaving school, he briefly joined the police before successfully applying to the Royal Marines. During training, he was quickly earmarked as an exceptional recruit for displaying qualities of courage, selflessness, professionalism and cheerfulness no matter what the situation; this resulted in the award of the coveted King’s Badge as a top recruit when he passed out in 1985. 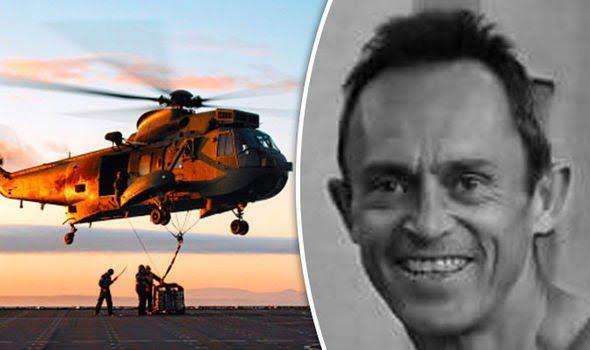 After serving for almost two years with 45 Commando, Phillips underwent the gruelling selection process (and training) to join the SBS, the Special Forces unit of the Royal Navy. He remained with them for the next 26 years until retiring with the rank of Lt Colonel and being CO of the SBS. Known as “Foggy”, a light-hearted reference to his namesake, Captain Mark Phillips, Princess Anne’s former husband, he was one of the Corps’ fittest and most respected officers and a courageous and energetic leader who carried out many daunting and dangerous missions behind enemy lines. He also became a well-known figure in military circles for his exploits in Afghanistan and Iraq. In 2003, Phillips returned to Iraq and was based at MI6’s station house in Baghdad, from which the SBS mounted strike operations against insurgents in Sadr City, while also carrying out surveillance posing as Western civilian contractors. His team was also attached to Task Force 21, a joint UK/US task force, which had the high-priority mission to find and capture Saddam. In 2008, he joined another special UK-US Special Forces unit known as Task Force 42, which tracked Taliban commanders. On 18 February, dropped in by helicopter, the SBS commandos successfully ambushed Mullah Matin and one of his sub-commanders, Mullah Karim Agha, as they travelled across the desert on motorbikes. Martin was the vital right-hand man to Mullah Omar (the supreme commander and spiritual leader of the Taliban) and responsible for the deaths of two British soldiers and dozens of Afghan civilians, as well as numerous attacks on UK troops. Phillips was appointed MBE in recognition of his gallant and distinguished services in the field. Although he kept out the public eye, Phillips was also known as an athlete. During the 1990s he won the 125-mile Devizes (Wiltshire) to Westminster International Canoe Race four times in succession, which had previously been won by Paddy Ashdown and Randolph Fiennes. Upon retiring from the Royal Marines in 2013, Phillips set up his own security business, but in June of this year, he was diagnosed with sporadic Creutzfeldt-Jakob Disease (the human form of Mad Cow Disease), a rapidly developing type of dementia which affects only one in a million people. Phillips died after a short illness; he is survived by his wife, Jacqui, whom he married in 1990, and their three children, Emily, George and Bethany. The United States Special Forces are perhaps the best tactical fighting force the world has ever seen. Whether it’s hostage rescue, covert operations, or a Bin Laden-esque kill-or-capture mission, the Tier 1 Operators of the US military are the ones to beat. As any Boy Scout can tell you, being prepared is the key to success. For these operators, it’s about having the best training, the best intelligence, and the best equipment—whether it’s $40,000 night vision goggles that turn night into day or $60,000 blacked-out SUVs. 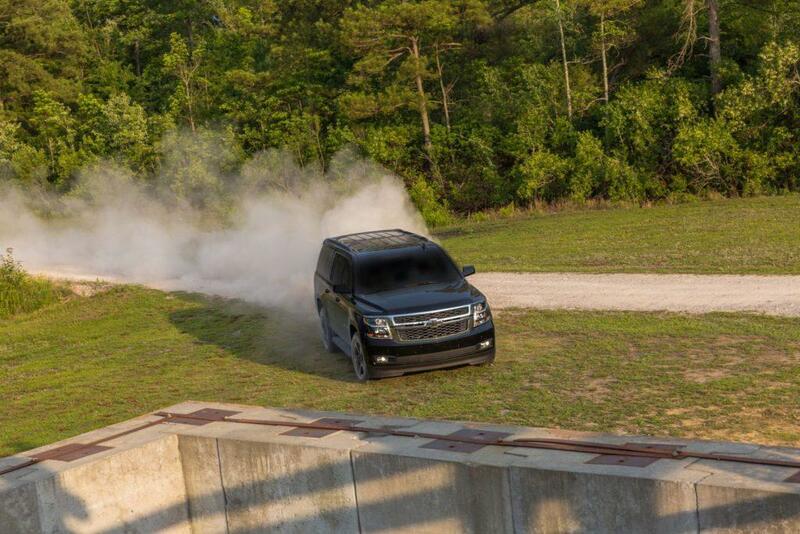 The Chevrolet Tahoe and Suburban Midnight Edition media program at The Range Complex in Raleigh, NC. Tahoe and Suburban Midnight Editions were released late last year. They are the latest additions to the growing portfolio of Chevrolet Midnight Edition vehicles, among the fastest-selling of Chevrolet’s special editions. 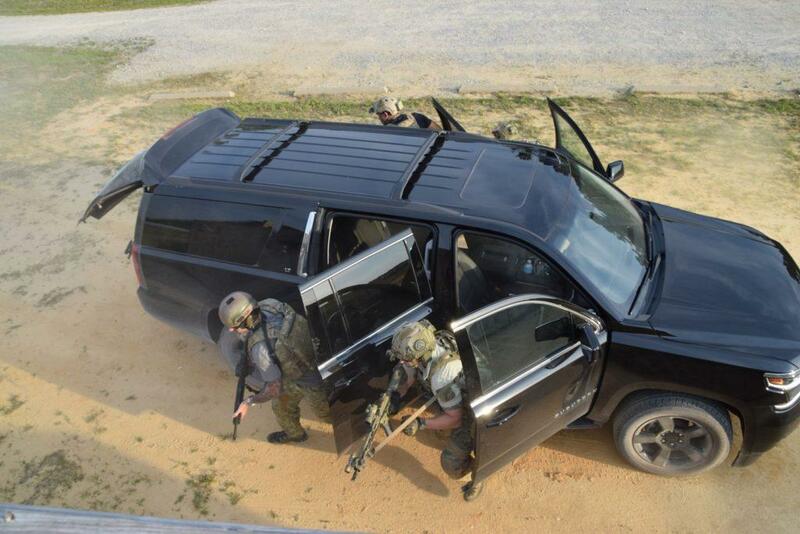 Founded by former members of Delta Force, the Range Complex offers customized training and consulting solutions for government, military, law enforcement, corporate clientele and the public. 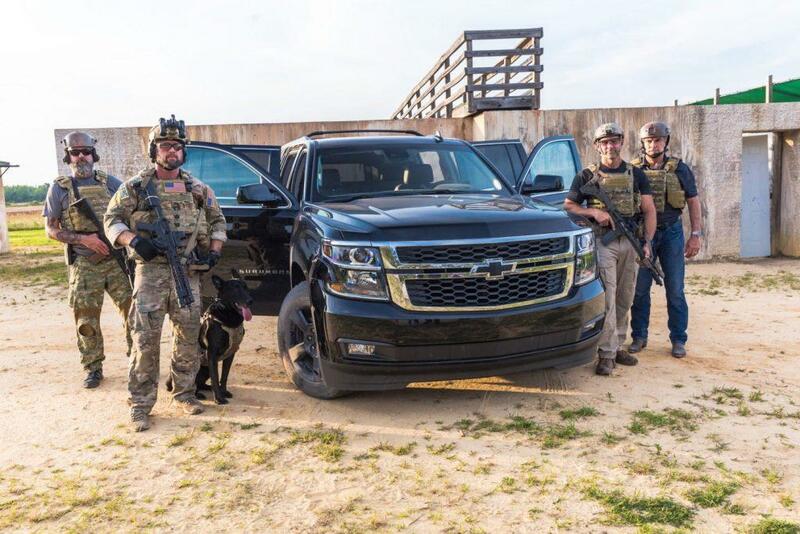 Both of Chevy’s full-size SUVs are very popular with both military and civilian law enforcement agencies. That’s thanks partially to tradition (the Suburban has been around in one form or another since the 1930’s and is the longest running vehicle nameplate in the US) and partly to the features of the car itself. They’re roomy, with space for burly soldiers carrying body armor, rifles, ammo, and the rest of their gear. These vehicles are also reliable and easy to work on, thanks in large part to GM’s worldwide parts supplier network. Plus, the SUVs prove quite durable—the Range Complex founder James Reese, a former Delta Force commander, told us a war story from the early days of the Iraq war when he and his commander came under fire on the infamous Route Irish in Baghdad while driving a standard Tahoe purchased off a dealer lot in Kuwait. The vehicle sustained more than 50 bullet holes, including five through the engine block, but it kept running long enough to get both occupants back to safety with non-life-threatening gunshot wounds. The post originally appeared here.